Welcome to the Official Web Site of the Friends of William (Bill) Sala. 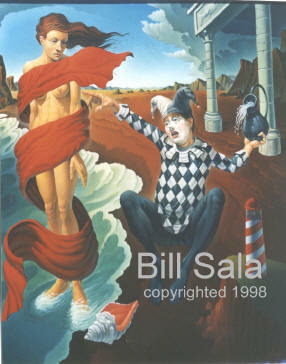 This is the official site of artist William (Bill) Sala. Bill is in our view, one of the pre-eminent surrealist artists working in America today, and perhaps the world. 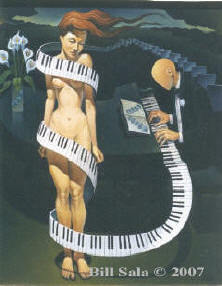 Bill's unique approach to his graphic use of color and thematic style is unparalleled by other contemporary surrealist artists. Bill has developed his natural talent over many years of studying classical artists and surrealists and by the practiced development of his craft as an artist. Please take a few minutes and see for yourself the range and depth of his style and approach to his subject matter viewed through allegorical themes often based on operas, world events and the human emotion. You won't be disappointed.